Halls Gap Lakeside Tourist Park is located in the heart of the Grampians, three hours from Melbourne and only two and a half hours from the Great Ocean Road. For those seeking a technology hiatus and an authentic Australian outdoors experience, you can choose your own level of rustic! 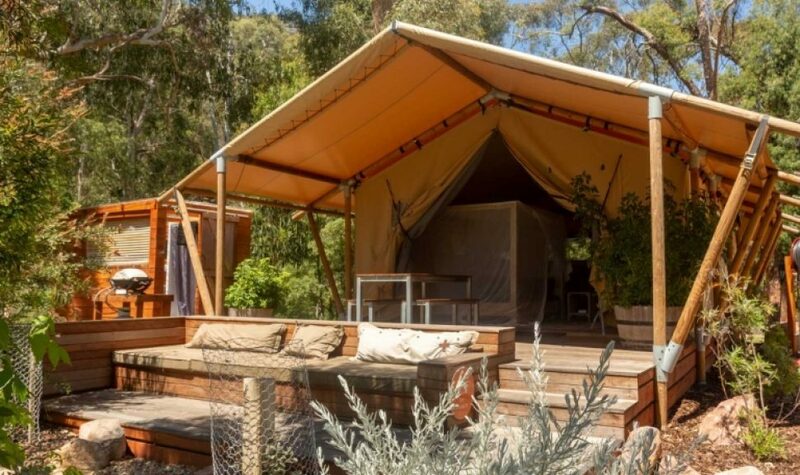 The park hosts a range of accommodation options from 'retro glampers' to luxurious modern cabins overlooking the spectacular valley and wide-open paddock that serves as a home to friendly wandering emus, bounding kangaroos and a diverse array of bird life. The sites at the back of the park definitely feel more like you are bush camping for those who want to really switch off but still want the convenience of clean and modern amenities and facilities. Campfires can be organised upon arrival, so you can settle in straight away and enjoy a glass of local award-winning Shiraz whilst reconnecting with those you love. 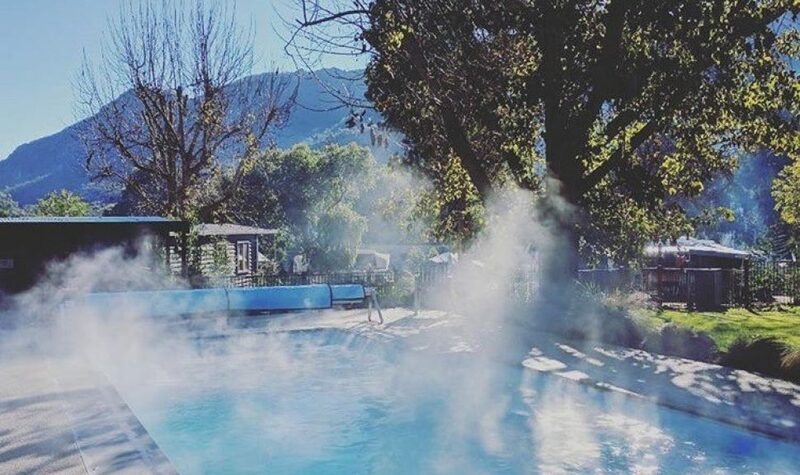 After exploring the Grampians it’s definitely worth unwinding with a swim or a quick game of Marco Polo in the wood-fire heated outdoor pool; with temperatures adjusted according to the season, it runs all year round! As the name suggests, there is also of course access to sparkling Lake Bellfield which is perfect for iPhone-free family bonding activities like kayaking and fishing. Swap your iPad for your fishing rod! Renowned for its fishing and water activities, Lake Fyans Holiday Park is only a 15 minute drive from Halls Gap is great for swimming, walking and picnicking, and perfect for active families also want access to world-class hiking and bushwalking, top notch fishing and kayaking and of course, unfiltered star gazing. 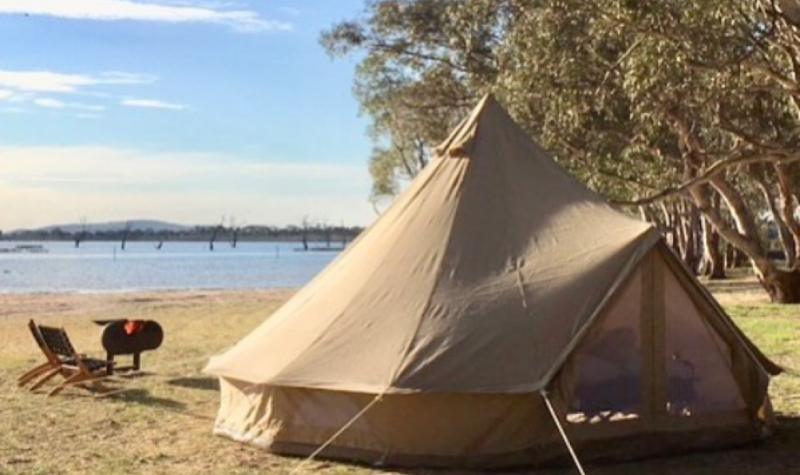 With a choice of spacious powered sites and bush camping for the ultimate tech-free oasis, take advantage of the fully-equipped camp kitchen or you can choose from a glamorous bell tent or vintage caravan by ‘Wandelrlust Glamping’ and stay on the water’s edge enjoying stunning sunset water views, lake side tranquillity and easy access to all the Grampians has to offer without the stress of traditional camping. On-site facilities include tennis courts, a solar heated pool and an adventure playground with jumping pillow for younger kids and a games arcade with table tennis, pinball and billiards for the bigger kids. Grampians Eco YHA hostel is a hidden gem in Halls Gap and does definitely NOT fit the average party-centric “youth hostel” stereotype! With a warm, rustic luxe interior featuring polished concrete floors, rammed earth walls, raw timber panelling and huge glass windows looking out over the home-grown herb garden with mountain backdrop; this Scandi style, environmentally friendly, budget accommodation in Halls Gap is a short, easy walk to Halls Gap village. This contemporary YHA was architecturally designed to utilise solar hot water, rainwater tanks and grey water recycling, along with a passive solar design and clever zoning techniques to use 50 per cent less energy and proudly generates 50 per cent less waste than standard hostels. 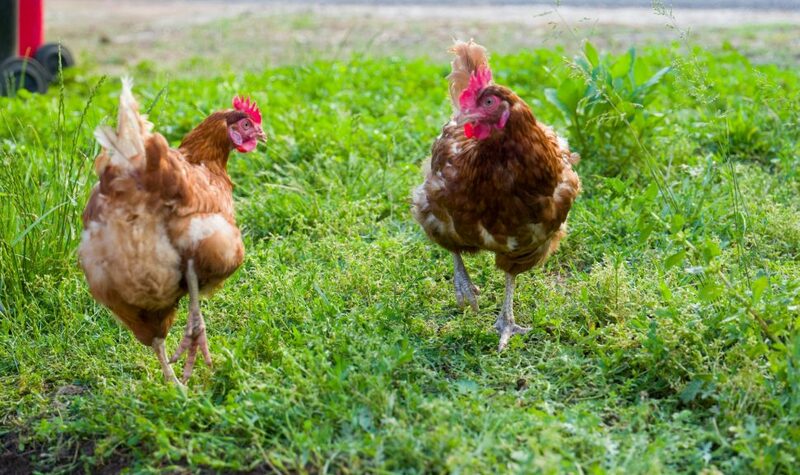 With two fully-equipped stainless steel kitchens side by side get the family chatting while the prepare a meal using fresh herbs from the garden and free range eggs from the chicken coop then get back to basics with some old-fashioned team building, washing and drying the dishes! With no TVs in the rooms, of an evening get cosy in one of the two spacious lounges with wood heaters and play a board game, do a group puzzle or debrief after a busy day in the outdoor courtyard with fire pit. The hostel is perfectly situated for access to attractions in the Grampians National Park. The friendly staff love to assist in organising a range of adventure activities in the Grampians, such as abseiling, rock climbing, horse riding, and canoeing, exploring Aboriginal rock art and waterfalls.